Replacing your catalytic converter can be expensive, especially if you are buying a brand new one. Manufacturer-sourced catalytic converter repairs can potentially run you over $1000, so it's not surprising that owners often turn to alternative sources when confronted with this repair. What’s the scoop with aftermarket catalytic converters? Your catalytic converter is a component of your exhaust that converts harmful gases such as carbon monoxide into safer compounds. Catalytic converters are designed to last the entire lifetime of your car, however, unattended repair issues in other components of the exhaust system can cause wear and breakdown. They are also fitted on the outside of the car, and are easily damaged through accidents. Should I buy an aftermarket catalytic converter? The main benefit of an aftermarket catalytic converter is… money. An aftermarket catalytic converter can save you over 80% on the price of a new one, costing less than $200, and sometimes as low as $60. However, there are significant downsides in purchasing aftermarket, and you should be aware of them before making your decision. Since aftermarket products have been used before, they will wear down and break much faster than new products. They can also be prone to damage during collisions, which may lead to you needing another replacement, and in extreme cases can cause damage to your emissions system. Generally, the lower the price of an aftermarket catalytic converter, the lower its projected lifetime. If you do opt in to buying an aftermarket product, being aware of this potential problem and knowing the signs of a failing catalytic converter can help you avoid the risks associated with your catalytic converter’s failure. Before purchasing an aftermarket product, you should do your research on what type of emissions your car is regulated to produce. 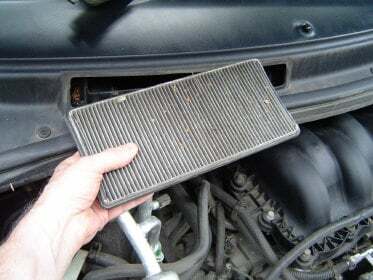 This information is generally located on your emission sticker, which is located under the hood of your car. If the catalytic converter that you’ve purchased does not meet these regulations, then it’s worthless. Purchasing an aftermarket converter also runs the risk of a converter performing sub-optimally and falling short of an emissions test, even though it should pass. These are all risks that need to be assessed before making a decision. Most owners ultimately opt into to buying a new catalytic converters as opposed to aftermarket products - new part replacements were the second most common repair in the US last year, while aftermarket fixes didn’t rank in the top 25. We advocate for new products because of their increased reliability, trustworthiness, and longevity. If you need a catalytic converter replacement, Fiix saves you the hassle of buying the part, and we’ll install it for you at your home or office! If you did end up purchasing an aftermarket part, Fiix can also handle the installation for you as well. Shoot us an instant message to schedule an appointment. Extend your car's life. Get car advice straight to your inbox. Join 5000+ car owners and keep your car in its healthiest form. Your car has two types of filters, the cabin and the air filter. This article will help you understand when and how you should replace both. Your catalytic converter is an essential part of your car - it neutralizes hazardous compounds in your exhaust such as carbon monoxide. And by doing so, they increase gas mileage and performance. 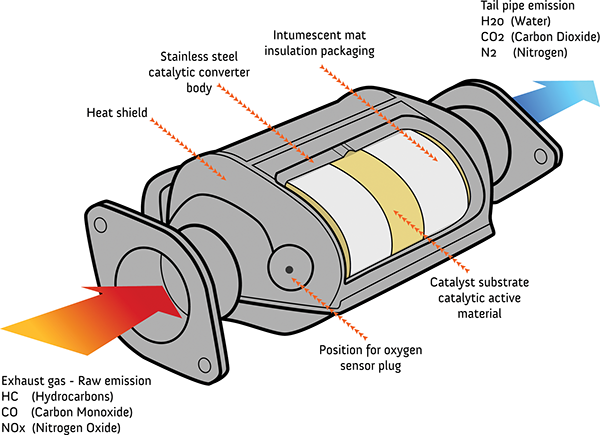 Here are 4 signs of a failing catalytic converter.